1) Why should we choose to reserve a paintball session with Red Dynasty Paintball Park? With more than 15 years of combined experience in the paintball industry, you can be sure that our organization will be capable in handling all forms of paintball requests. We cater to different competency levels of paintball, from beginners to competitive players. Our staff are knowledgeable and well-informed about the game of paintball thus able to provide recommendations on game strategies and facilitation of the games. Our forte is in assisting and organising paintball teambuilding events and workshops for companies – SMEs, MNCs and Government agencies. We are also the biggest and rated most popular paintball field in town! Paintball is a game and a sport which is played by many people from all professions and lifestyle. In the game of paintball, men and women compete equally, and neither age nor physical fitness dominates the playing field. Similar to a game of chess where the ability to think quickly and being decisive wins the game, paintball requires intelligence and determination, not merely strength or agility. 3) What can I learn from paintball? Paintball is a game which is played in a team thus allowing players to learn teamwork, gain self confidence and develop leadership qualities. Paintball is a challenging sport that delivers essence of character building. While many play paintball to have fun, organizations and corporations are finding paintball to be a game which promotes corporate teambuilding, increases camaraderie within the company and enhances decision making skills. 4) Is paintball a safe activity? In everything that we do, there is always a certain amount of risks that are involved. Similar to all sports, paintball is a safe activity as long as rules and regulations are strictly followed. There is a misconception from non-players that paintball is only cater for war minded society and is aggressive in nature and extreme in its own rights. This is not true but a baseless judgment. Paintball is played as a recreational activity and a competitive activity in many countries. However, individuals with health problems such as heart conditions, nervous disorder, pregnancy, etc should not participate. 5) Is paintball actually “pain” ball? Different individuals have different levels of threshold for pain. While some might feel a “stinging” sensation, not many people will feel the same. All our paintball markers are chronographed to specifications issued by the Singapore Police Force. Yes and no, when hit by paintball, players will feel a “stinging” feeling. 6) Will paintball stain my clothings? 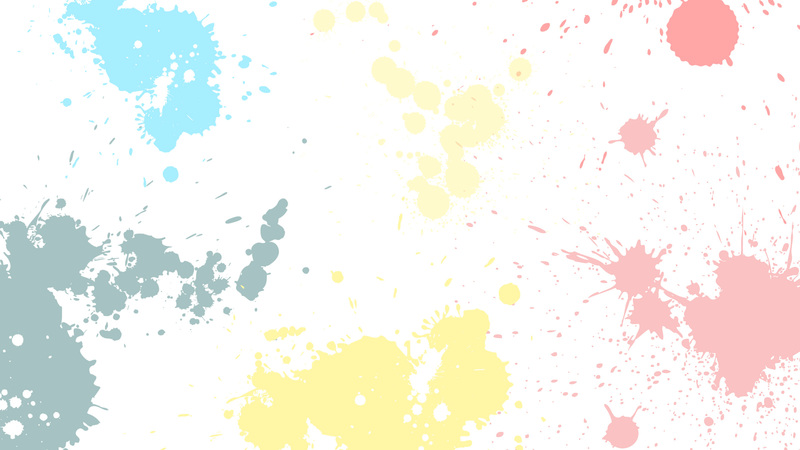 No, paintball stains are washable. However, participants are advised to wear clothes that are inexpensive and dispensable. Stained clothings should be washed immediately after event so as to prevent dye from “eating” into the clothing fabric. 7) Is there an age limit to participate? Yes, participants must be 14 years old and above (after birth date). Participants between 14 – 17 years old would require parental consent to play. Players will be asked to show their identity card for verification of age by our staff. 8) How do I get to Red Dynasty Paintball Park? Click here for more information about our branches. 9) Do I have to book? Yes, you will have to book in advance and receive a confirmation email from us before coming as we are open by appointment only. However, we do accommodate to Sunday walk-ins for players who are keen to pick up the sport with other paintball enthusiasts at our Bukit Timah branch. 10) How can I make a booking? Bookings can be made by via our booking form (Click here) or sending us an email at info@weplaypaintball.com. In the email, please include your particulars, date and time of booking, number of participants, preferred package and we will get back to you. If there is a special event, for example, birthday, anniversary, tournament, please indicate in the booking request so that we can work with you on your requirements. 11) How do I know that my booking is confirmed? We will send you a confirmation email after your initial booking and place your request as a tentative booking. All you need to do is to send us a confirmation reply and make a non-refundable $214.00 deposit (including GST) via cash, NETS, cheque, internet banking, PayNow, Paypal or credit card within the next 5 days or before the stipulated deadline in the confirmation email to guarantee and confirm the booking. The deposit made will be off-set from the final bill. Your booking will NOT be confirmed if you do not complete the deposit payment. 12) How can I make my deposit payment? We offer 7 modes of payment: cash, NETS, cheque, internet banking, PayNow, Paypal or credit card. We are Gebiz-registered (www.gebiz.gov.sg), EPS-registered and deal electronically with all government agencies (invoice or www.vendors.gov.sg). 13) I am organizing for a group…but I am lost! Tasked to organize paintball for your friends? Your company? Your class? Your team? No worries! Help is on the way. We understand the hassle of organizing for groups and therefore we will help you in whatever ways we can. If you need us to explain the game of paintball to your boss, colleague or friends, just Let us know, we will run through the day’s program with your team and set the mood right for game day. And to surprise you will our goodwill, we are doing this for FREE! NO EXTRA CHARGE! If you are working with several other vendors, just leave it to us to help you settle the complication of interacting with several parties too. 14) What if it rains on game day? We understand that weather changes fast in Singapore. However, paintball is so fun that everyday is a perfect day for paintball. All customers are advised to arrive 30 minutes before booking time. Should there be a drastic weather change, our staff will advice accordingly. Please note that the deposit is non-refundable. All participants of the group should still come and be present for the session. Once the rain subsides, the games will resume. If the bad weather (e.g. continuous heavy rain) does not allow the game to resume with game duration running out, our facilitators will suggest for game postponement and will liaise with game organizer on the next preferred date for the event. Do note that the deposit payment which was transacted prior to the booking will be carried over to the next postpone event. 15) What should I wear on game day? Wear loose clothings. Why? Singapore is a hot and humid country. Long sleeves and long pants (highly encouraged!) can help to prevent direct “stinging” from paintball shots. Participants must wear covered shoes such as sports shoes or street soccer shoes. We reserve the rights to reject any participant if he or she is inappropriately dressed. 16) Are there shower facilities? Having a cold shower after paintball games is just heavenly. Basic shower facilities are located near the paintball playing arenas at most of our premises. Do bring your own toiletries and towels. 17) How big is the paintball field? The sizes of our paintball parks vary from branch to branch. We are the largest paintball company in Singapore and have 2 branches. Our branches are located at Bukit Timah (Turf City) and Khatib/Yishun (ORTO). 18) How long is the game duration? If you are referring to the duration of your booking session, it is dependent on the package that you have chosen for your group and the number of participants who will be playing. A good estimation will be about 1 – 3 hours. If you are referring to per game duration, it all depends on how good a player you are. If you are a trigger happy player, your game might end earlier as compared to a conservative player. The better you are, the longer you survive in the game. We guarantee that all allocated paintballs will be expended by yourself or your team mates. Our compulsory safety briefing is about 10 – 15 minutes. 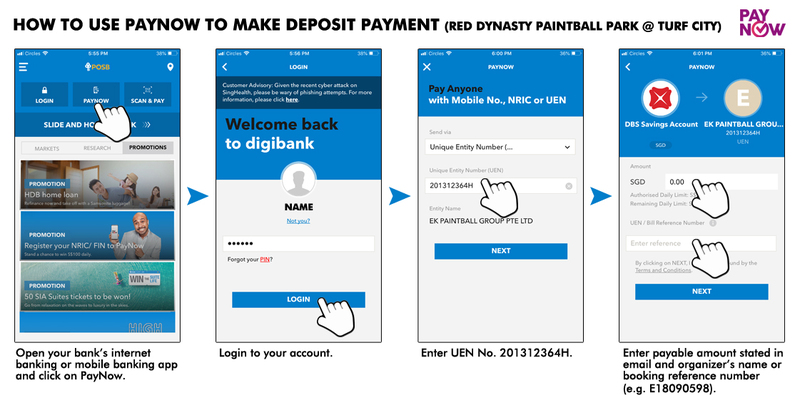 19) What do I need to take note regarding the use of any vouchers at Red Dynasty Paintball Park? (i) Quote the voucher name, owner of voucher and voucher number on the first contact (either through phone or email) with us. (ii) Print and bring the voucher on the actual day on the paintball games for verification. It is compulsory to fulfill the 2 conditions above which are under the normal terms and conditions for reservations to use the vouchers. All prices are subjected to prevailing GST. 20) Do you charge GST? Red Dynasty Paintball Park is wholly owned and managed by EK Paintball Group Pte Ltd (previously EK Paintball LLP). The GST Registration No for EK Paintball Group Pte Ltd is 201312364H. Prevailing GST rates will apply for the pricings stated in this website. 21) We are planning to cater food for our event. How can we arrange for food catering? Red Dynasty Paintball Park collaborates with several industry partners to bring you the best catering services. You can seek our assistance for food catering and we will be glad to assist you in the planning of your event. We also provide other optional services (separate charges) such as drinks, goodie bags, T-shirts, prizes and medals for event winners and souvenirs for participants. 22) What is the minimum number of paintballs load per game per person? 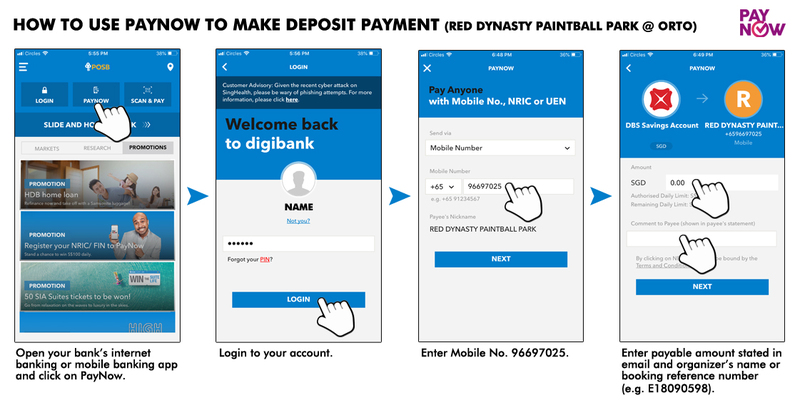 To enhance your playing experience at Red Dynasty Paintball Park, our minimum paintball load allocation will be 100 paintballs per game per person. If you would like to request for more paintballs, please inform the game facilitators. If you have a question which is not listed in the FAQ, please email us at info@weplaypaintball.com or call us at 6659 4782 / 6659 8095 / 6755 7537.